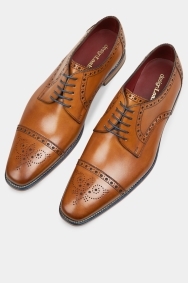 Derby shoes are traditionally more relaxed with their open lacing. 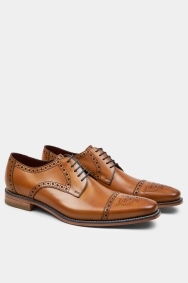 These ones are a top-quality pair as they’re crafted by Loake, a shoemaker that’s held a Royal Warrant since 2007. 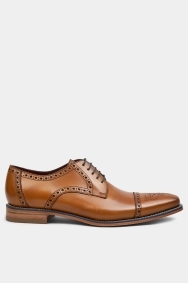 Simple brogue detailing adds smart interest, while the 100% leather construction guarantees they’ll last a long time.